Phil Galfond and his online poker project Run It Once will tackling the issue of player tracking with some innovative ideas. In a lengthy blog post outlining his rationale for Run It Once, Galfond wrote that tracking software such as HUDs won’t be allowed. Looking ahead to the summer 2018 launch of his online poker site, the high stakes pro explained that he and his team have come up with a unique way of stamping out the software. Charting a different course to other poker sites, Galfond’s methods are based on three core principles: “prevention, enforcement, and disincentivization.” While he elected not to go into detail about how his software will actively block and enforce the HUD ban, he did talk about how the site will disincentivize their usage. In the first instance, a variation on the anonymous tables feature will be used. Instead of randomizing screen names and seating positions each leaves a table, Run It Once will give players a random name when they join a new table. This name will stick with them even if they leave the table and return later that day. Additionally, the random ID will consist of a first name and initial, which should allow players to recognize a returning player for that session. According to Galfond, one of the main issues with anonymous seating is that it makes the games less engaging because can’t recognize who they’re facing. By keeping a certain level of familiarity, it’s hoped the game will be more interactive and, therefore, more appealing to casual players. The other key feature discussed was dynamic avatars. 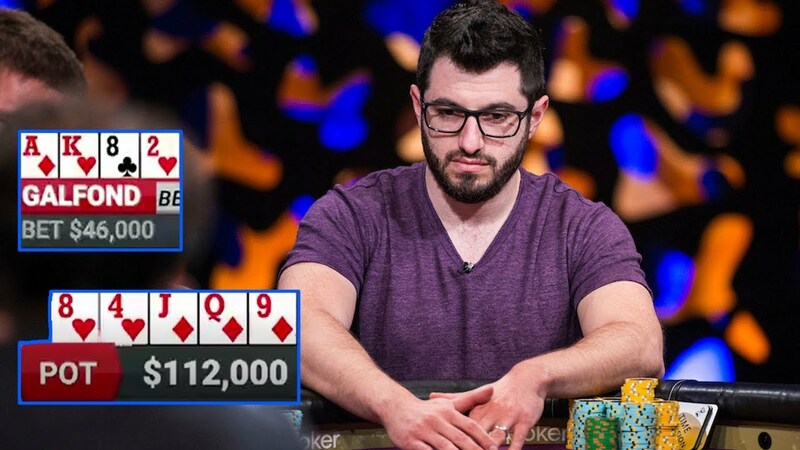 Because Galfond knows the value of statistics in poker, he wanted to create a system that gave players some insight into an opponent’s playing tendencies. “Instead of displaying stats next to your opponents, we will group them into one of eight playstyle categories and communicate that information through their avatar’s emotions,” the poker pro wrote on May 2. In simple terms, an avatar’s emotions will change based on pre-flop stats such as how often the player is calling, raising and entering pots. By displaying information in this way, Galfond hopes it will give experienced players enough information to guide their decisions, but not give away so much that weak players are exploited. 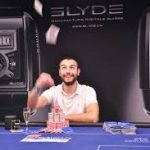 While it’s unclear how effective this type of system will be, it is clear that Galfond is trying to redefine the notion of online poker. With many players criticizing platforms such as PokerStars for focusing too much on “gambling,” Run It Once could offer some form of happy medium. Galfond acknowledges that casual players are the lifeblood of the industry, but he doesn’t feel their experience should come at the expense of seasoned grinders. When phase one of his project launches in the summer, he’ll have the chance to prove whether these two demographics can prosper in a single setting. Betsafe currently provides anonymous tables which I really enjoy. It will be interesting to see these emotional avatars lol. I like the basic concept of the website. Let’s see if and when it launches if it will be successful. Ignition Poker is anonymous as well. Just random numbers as designators. I like the idea of a random name for a day. And I don’t mind being stuck with an 8 level emoticon. Might just work. Many of the USA facing sites are now very suspect in lax security against bots, multi-accounters and even super users. None of them have even adequate customer service. Wild, wild west and east all over again. Trust is not even an issue. It does not exist. Would love to join an honest site offering honest poker and rock solid security. Online poker is not live poker. Stop trying to take away the best parts of the strategy aspects. There’s nothing wrong with HUDs, or stat tracking. It’s just as difficult to know how to use that data as any other aspect of the game. Yo Phil starting your own poker site is a form of financial suicide. Love you on bluefire poker please reconsider this endeavor there are too many poker sites as is. Even though I’m a huge fan of using a HUD. I really Like this idea of avatar emotions. You are not forcing players to only play 1 or 2 tables if they enjoy playing multi tables, and your making it easier for rec players to stay involved in the game while learning. while they aren’t constantly being exploited by HUD gurus that have the numbers down to a science. Looking forward to checking out your product this summer! I would not try that poker room. It seems to me that poker evolves over time and eliminating the HUD is going a step backwards. Every time you need to study more to be a winner in poker, the game is not the same as it was a few years ago and it will not be in 5 years. Poker advances and becomes more complex, now, they do not care about this. They do not care that those who dedicate hours of study and training to take advantage of other players can live on this. They are only interested in making money. And for that, they take out the HUD. To encourage recreational players. In short, a disappointment. It seems like this new site is trying to make online poker more like live poker. Without a HUD and with emotive avatars, players will have to pay much more attention to what’s going on at a particular table. This is definitely geared more towards casual players or high stakes cash players playing only a few tables. It will be difficult for multi-tabling MTT grinders. People who make their living from poker will not be happy about this. I think Ignition already kind of has a happy medium with anonymous play. You can still use a HUD on Ignition, but only for that session or particular tourney. I would support a poker site that wasn,t owned by a corp ; casino . A site that rewarded loyalty and openly displayed costs and profit . I don,t agree with whales getting more rewards than fish as growth of player pools are made of fish . Look after the fish and the whales can feed. Plzz give the smaller player pool time zones a share of the tournaments and freebees [rewards] . POKER PLAYERS should run POKER. I can only say that playing simple anonymous tables a little boring, but with this idea, it changes alot. Looks like his idea will give not only fun but alot of “information to think” to all types of players, besides the timings/sizings what we will continue to have without HUD. The game in low distance will be really interesting with alot of action. Coming the reborn of high-stakes action if players will like this system of changes. I would like to see this project come true, I think it would be interesting for your idea, which puts all players on equal terms and that is the personal ability without the support of any kind of software. Another point would be the avatars with 8 levels, we hope that this poker room comes on the market and we will judge its style and benefits. I’ve stated my mind about HUDs a couple of times. If you are paying for a software to track what you should be tracking yourself, paying for a software to do the pot odds calculation for you, paying for a software to choose the optimal action for you, then just pay for a bot to play for you and quit poker. I hope he finds that happy medium between fish and shark players. Although that avatar thing is not that good to be honest, I would be happy to put my money in his poker site knowing that he will do his best to not allow tracking software. As far as HUDs go… I’m sure it would be much better for the longevity of the game to get rid of them. 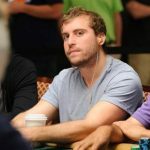 Sounds like a good idea to me , P.Galdfond is a poker players and I assume that he is thinking about online poker like a poker player and not like a businessman. Online poker needs more competition and more innovative ideas in order to survive through the years. I really don’t like what Pokerstars does in order to attract potential customers. 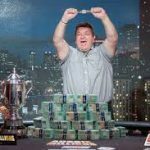 PS treats the game like is a game of luck , mostly in smaller stakes , Poker is a mental game and hope that this endeavor will give poker what it needs. Well good luck to Phil with launching his room. I may give it a try just to see what’s it’s all about, probably will wait until they will add tournaments though. But forbidding HUD makes it inconvinient to multiroom that will prevent me from playing regularly on this site. There are already sites that forbid HUDs and I don’t find them attractive enough to play on them only abandoning other sites for a session and not using my time optimal by not playing my regular tournament schedule or whatever that I usually play. I like very much Galfond’s perspective about online poker. He aspires an online poker environment which closely resembles the live poker arena. I’m keen on the thought of not allowing HUDs at online poker rooms. The pure anonymous tables that other poker rooms offer isn’t the solution, because there is the problem with possible collusions, and of course there is the whole “icy” feeling of a table with “Player 1”, “Player2”, etc, it’s a bit miserable. Really encouraged by these developments. Anything that encourages and makes a safer and less exploitative environment for weaker players can only be a good thing for poker. Well done Mr. Galfond.